I remember back to my first job out of university, as a wide-eyed Mechatronics graduate. I managed to score a job as a junior developer, despite having only completed 2 software subjects during my degree. I was hired into a medium sized company to take over development and maintenance of a mature, complex piece of software. The software was used to capture video based on triggers from other systems. It was written in C++ and used ffmpeg as its underlying technology. We had a decent sized QA team, and at least a couple of those spent a bit of time testing this software. However, there were precisely zero unit tests and non-existent CI. The software was plagued with bugs. Half my time was spent fixing strange and hard-to-reproduce bugs (which I’ve come to realise was an exercise in futility, as the bugs were race conditions caused by a broken threading implementation). I’ve come a long way since those days. Over the next few years, I was fortunate enough to work with people who were strong advocate of good testing and CI processes, and I’ve internalised those attitudes. No longer do I believe that fixing bugs has to take up a large chunk of a developer’s time. 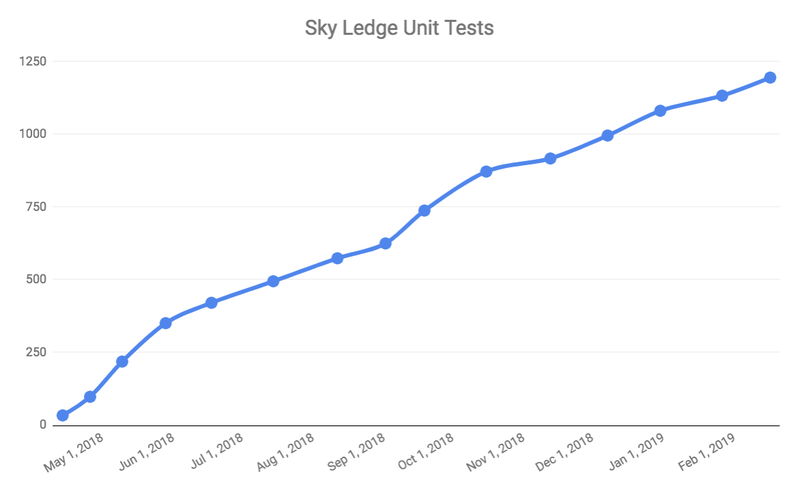 In the past year at Sky Ledge, we’ve been actively developing our Angular web app. In that time, we’ve written some 1200 front-end unit tests. More isolated testing. We want to test the services and components in question, not their dependencies. Strongly typed template checking. If a child component definition changes, we want to ensure that dependent unit tests are breaking. Less coupling between components and services. Dependency Injection makes it easy to inject services, but if those services are being used all over the shop, refactoring becomes difficult. 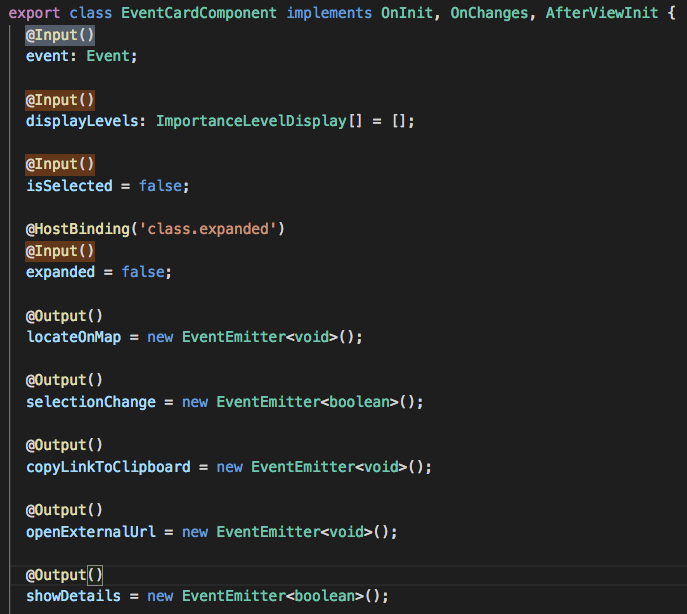 Prefer dumb components over smart components. This article by Jack Tomaszewski explains it beautifully. Dumb components (i.e. those that rely on inputs and outputs) are much easier to test than components dependent on multiple services. What outcomes should you expect from these articles? I’m hoping it gives you really practical advice on how to build better, more robust Angular applications, to allow you to easily develop and refactor with confidence. 1. 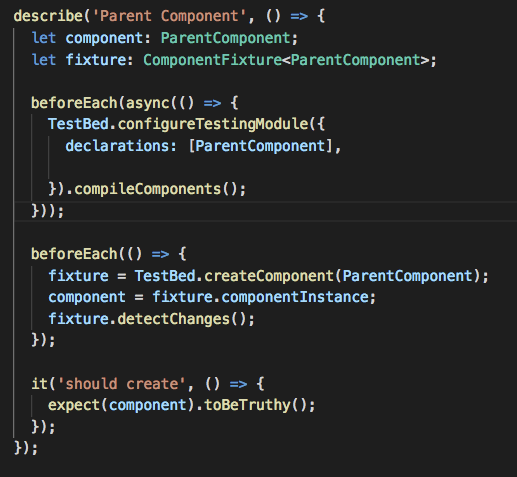 If 'child' is an Angular component, then verify that it is part of this module. 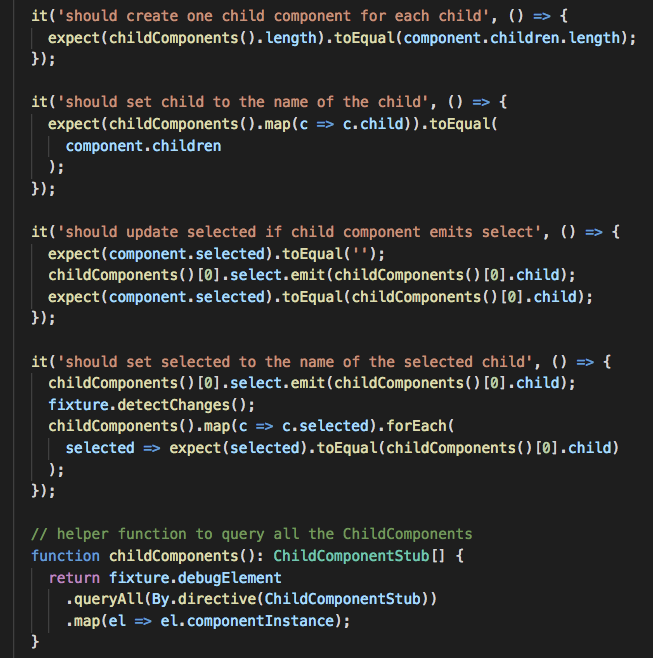 This is Angular’s way of telling us that it doesn’t know about ChildComponent . What are our options here? Sure enough, if we run the tests again, they succeed. Huzzah! …not so fast. By doing this, we’ve broken Rule 1: Tests shalt be isolated. By declaring ChildComponent , our tests are now dependent on it to succeed. What happens if we add a dependency to ChildComponent? NullInjectorError: No provider for Router! While we could always import RouterTestingModule , this is clearly an unideal solution. Changes to the internal logic of ChildComponent shouldn’t require us to modify ParentComponent unit tests. It’s annoying enough with 2 components — imagine how much worse it’ll be once we have 20, or 200. If you did a Google search for the above error, you’ll probably come across quite a few Stack Overflow posts that recommend using NO_ERRORS_SCHEMA. It’s also recommended as an approach in the official Angular Testing Guide. After doing this, our test is working again 🙂. While this is a valid and widely used solution, it’s also one that leaves us vulnerable, as it violates Rule 2: Thou shalt alert us to broken templates. 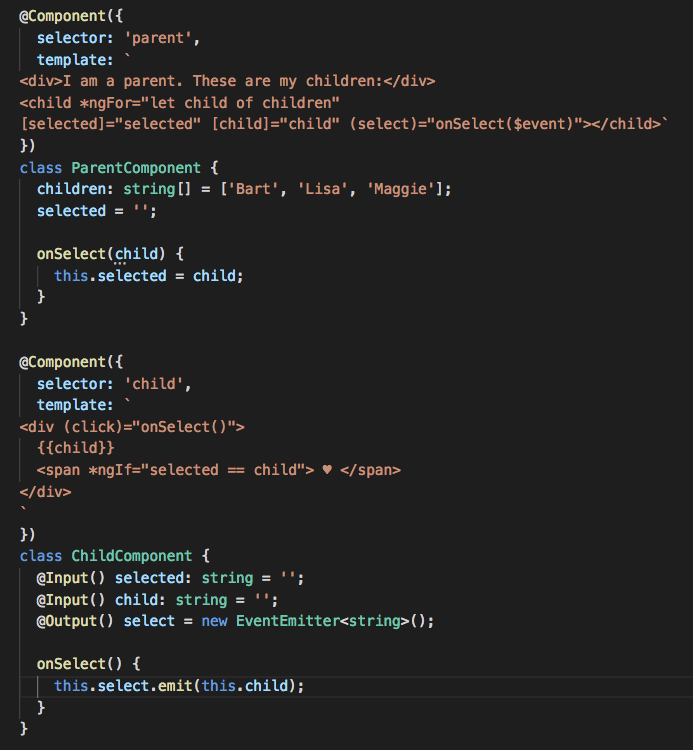 What happens if we misspell the <child> tag? …the test still succeeds. This isn’t what we want. Even if we spelled <child> correctly, the tests will also succeed if we incorrectly spelled inputs: <child [childs]="children"></child> . This is actually the approach we initially took when starting out with Sky Ledge. However, as the project grew in size and we began refactoring code, we quickly ran into situations where we didn’t realise there was something wrong until we actually ran the app. In one case, a broken component in an infrequently used part of the app remained broken for a couple of weeks until being discovered. 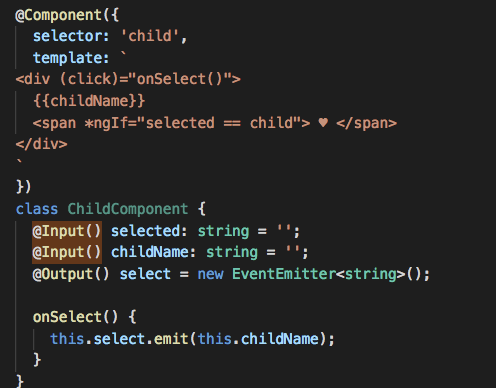 Beyond that, this approach also makes it very difficult to test @Input and @Output on child components. Let’s consider another approach. 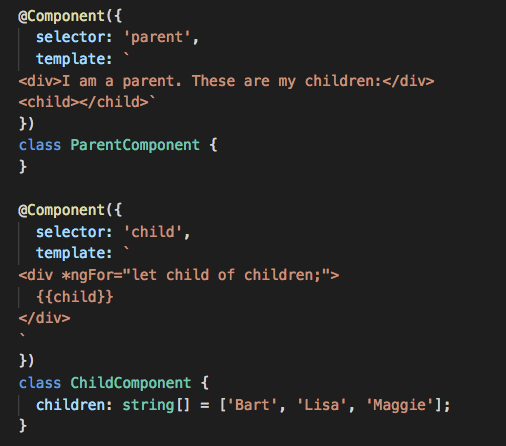 Instead of ChildComponent having hardcoded names of children, we’ve made the child name an input. We’ve also added selected as an input: if child equals selected , we show a ❤️ next to that child (what better way to promote healthy sibling rivalry than choosing a favourite child?). This now isolates testing of the ParentComponent from the internal workings of ChildComponent . For our purposes, we want to treat ChildComponent as a black box — we want to test that we’ve passed it the right inputs and that we handle any outputs it emits correctly. What it does with the inputs, and under what circumstances it emits outputs, is irrelevant to ParentComponent (testing of that logic should happen within the ChildComponent tests). Great. We’ve quickly and easily tested the functionality of ParentComponent and its interactions with ChildComponent . So are there any shortcomings with this approach? Not only is it a pain in the proverbial to write a stub component for something like the above, it’s also prone to code rot (Shortcoming the Second). Let’s go back to ChildComponent. What if we wanted to rename child to something more descriptive, like childName ? …our tests still succeed. We won’t know it’s actually failed until we run the application (or build it with Ahead-of-Time compilation enabled). The stub component approach requires us to remember to change the stub each time we change the real component. As you can expect, this is prone to human error and the problem exacerbates as your application grows. Issues like these can make refactoring applications and maintaining unit tests a chore. Can we do better? As it turns out, we can do better. There’s an excellent library called ngMocks which makes it trivial to create mock components (as well as directives and pipes). Instead of manually creating components, ngMocks automagically creates type-safe mocks for us, alleviating both shortcomings of Solution 3. We’ll now get a bunch of compiler errors in our tests complaining that Property ‘child’ does not exist on type ‘ChildComponent’. So rename child to childName and run tests again. And now…our tests are failing 🎊! Can't bind to 'child' since it isn't a known property of 'child'. <child *ngFor="let child of children" [selected]="selected"
And just like that, all our tests are passing again. In this article, we worked our way from a fairly primitive solution to testing sub components to one that’s quite powerful and elegant.